February 2, 2014 - Make sure you like EcoJoes on Facebook to stay updated on green ways to save money and help the environment. Just click the "like" button below. Muchas gracias! Do you have what it takes to participate in the 10 Minute Litter Cleanup Challenge? Can you clean up more litter than me, Mr. Eco-freaking-Joe? Will you become an O-fficial Eco Hero? Well bring it on!! Imagine what would happen if every EcoJoes reader stood up right now and took just 10 minutes to clean up some litter outside their house. Hey, you’re an EcoJoes reader right now, yeah? How about you scurry outside, pick up some trash, and come back in ten minutes? I’ll go outside, too. Can you clean up more litter than me? You got ten minutes; go! Bam, most of that’s getting recycled, and some’s getting thrown in the trash. How much did you clean up? 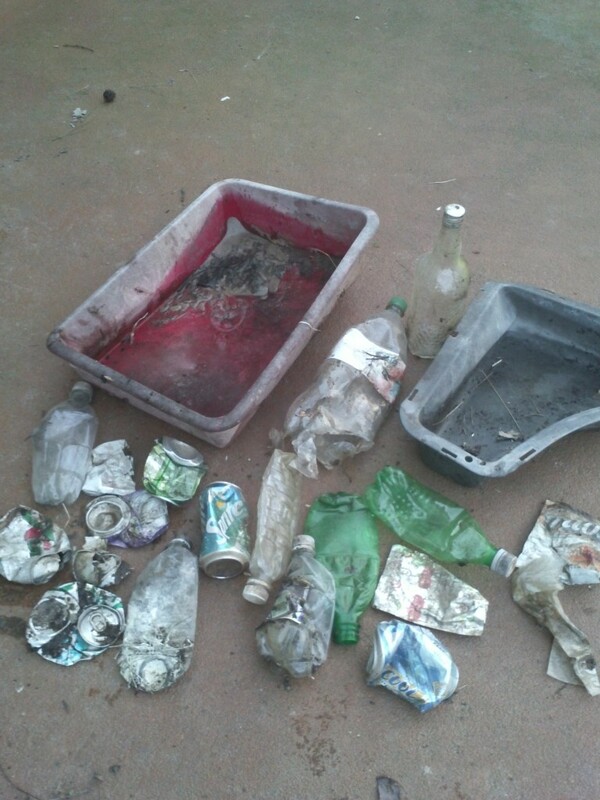 You have until Sunday, February 9th to send in your picture of what you cleaned up. One contestant will be chosen to receive a special mYsTeRy prize! So hurry up, send your picture (and a sentence or two about what you did) to ecojoe@ecojoes.com! Posted in cleaning, contest	on Sunday, February 2nd, 2014 at 3:38 PM. 10-minute Litter Cleanup Challenge Winner! Great idea and let's hope that plenty of subscribers and visitors to this page are up for the challenge! If each of us does a little, we can, collectively achieve a lot.